Yesterday our school, belatedly, celebrated Holi, a Hindu celebration of love and colours. 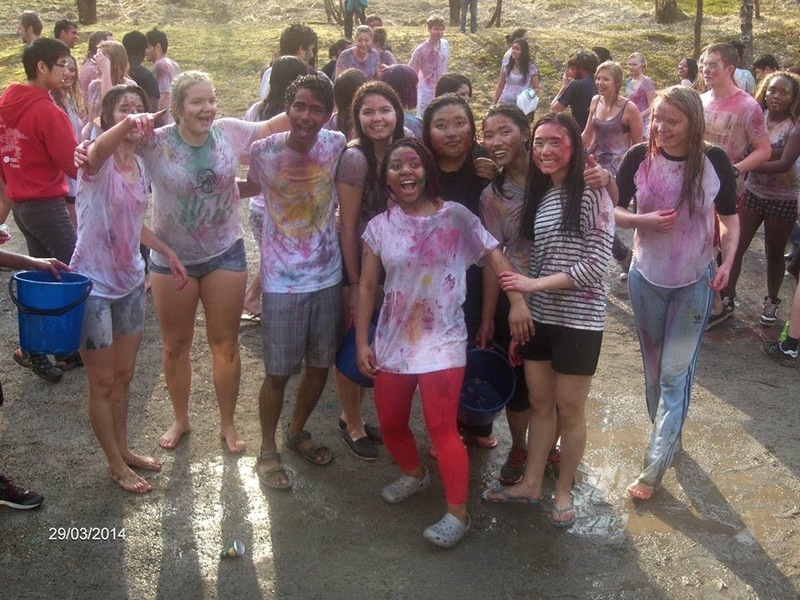 We covered each other in paint, fjord water and mud, the idea being that once we were all coloured we were equal (although they phrased it in a more beautiful way when they explained). It was cold, funny, amazing and just great. It's the things like Holi that make me happy to be at a place like this, where I get to experience such a variety of cultures. On top of that, myself and the other organisers just sent off the orders for college hoodies, something we have been worrying about for weeks to no end, so it's nice that it's - almost - done. Next week, the Queen is coming and the week-and-a-half-later, we have Easter Break. Work is piling up but the weather is great and the campus has come alive again.